So, after the Llangollen initiation, we decided to build a canoe, an Ottersports double kit with a rudder. It was quite easy to build - tack together the precut plywood sides and seal the joins with fibreglass tape. It did involve using the hallway of my in-laws while they were away, and having to extract the tacked sides from the lino where they'd been pinned. However, it successfully floated and we had many happy tours of the Thames, the Kennet and Avon, the Grand Union and the Lee and Stort, and other unnavigable rivers such as the river Loddon. Sadly I don't seem to have any photos of the Kennet and Avon, but I do remember what lovely clear weedy water it was, with huge fish swimming around us. 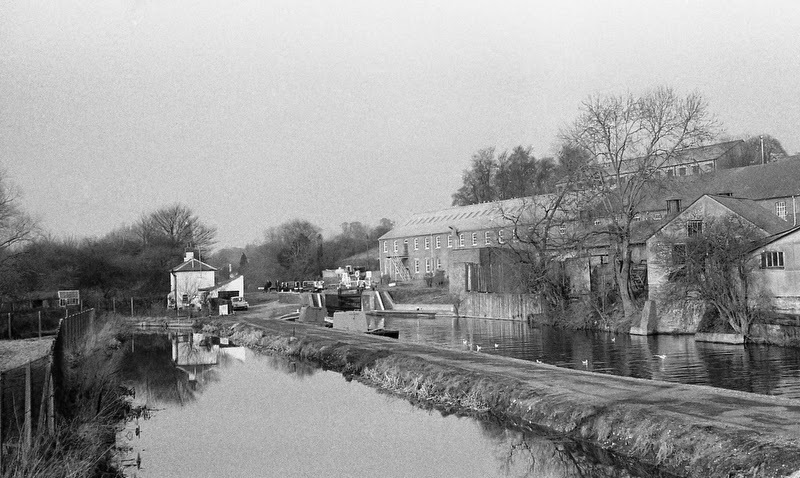 The intro photo shows Coppermill Lock at Harefield on the Grand Union Canal c1970. It's changed a bit now, as most of these old buildings have. This area was fun in a canoe as there were all the little river arms to navigate - you probably couldn't do that now. Near the Halfway House (now the Horse and Barge) at Widewater Lock, there was a one-legged lock-keeper who fortunately wasn't able to chase after us to see if we had a license or not (which I'm ashamed to say we didn't). 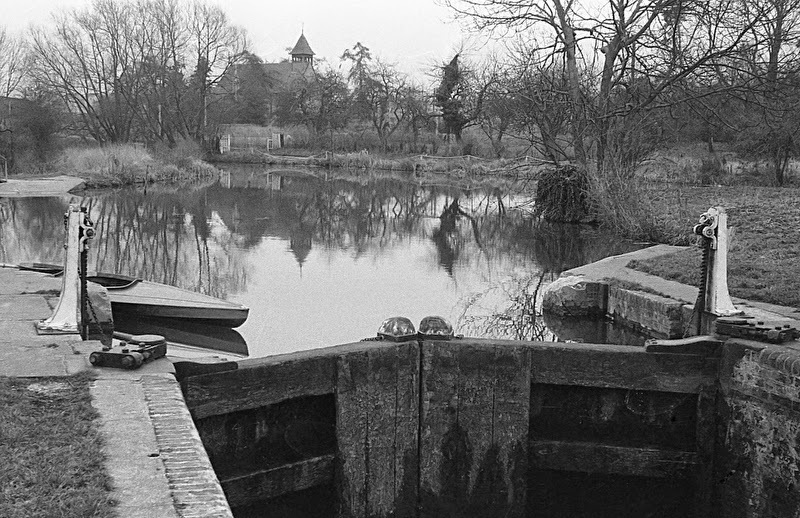 One thing I really regret from this era, is not having taken any photos of the working boats at Croxley Mill near Watford. They must have been some of the last commercial boats regularly operating. We had a couple of forays onto the Lee and Stort, here's Parndon Mill lock with our canoe. The lock gates in those days were operated by chains, lock beams came later.